One of our favorite hotels in Mauritius, Shanti Maurice, has introduced a new dining concept ‘Grandma’s Kitchen’, which invites guests to dine at the home of the grandmother of one of the resort’s own team members. 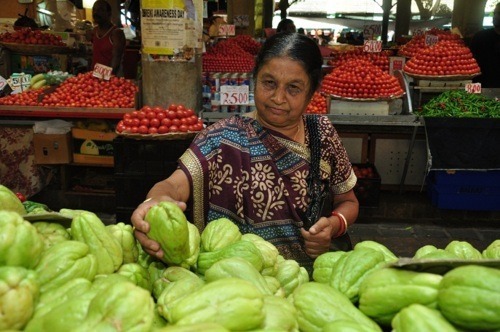 The experience begins when guests arrive at Grandma’s local Mauritian home, where she will impart her knowledge on Mauritian cooking, which largely revolves around choosing the right ingredients, all of which are hand-picked from the local village markets. Grandma’s dishes include Honey Lamb with cinnamon, white wine, soy sauce and ginger, Fish Curry with an array of spices including tamarind, curry, coriander, chili and onions and Pineapple Bomb – a refreshing sweet treat made from sugar, pineapples, eggs and cream. Once the meal has been prepared, guests will enjoy the traditional home-style cooking around a communal table, enabling them to sample truly authentic Mauritian cuisine whilst spending time with ‘family’, listening to Grandma’s stories about the past and reviving childhood memories. To complete the experience, guests will leave with a mini cookbook, filled with a selection of Grandma’s handwritten recipes, photos from throughout her life and a few of her secret cooking tips, so that guests are able to recreate the flavors of Mauritius in their own kitchens.